I have had many vegetarian burgers over the years, most supermarket ones are very dry and don’t taste of very much. 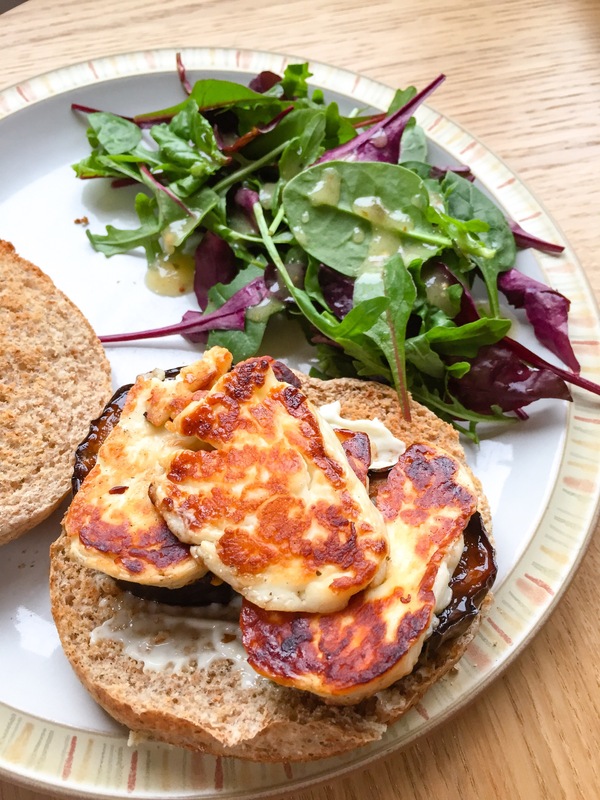 I do like making homemade bean burgers but this aubergine and halloumi burger is my favourite and it is so simple to make. No mess or fuss just some sliced aubergine marinated in a sticky, spicy, smokey sauce and some fried halloumi. It is my favourite go to burger for family burger nights. In fact it isn’t much of a recipe really! With less than a month until my 26th birthday I have been doing a lot of thinking about my life. 2015 hasn’t been what I was expecting at all, this year I was meant to be living abroad, getting married, starting a family and now I am back living with my family. With this in mind I have decided that each year I will write a list of things I want to do for myself before my birthday, sort of a bucket list. I don’t have much time before by 26th birthday so I’m thinking hard about something I could fit in. I have started my list of things to do before I am 27 though. Go to Copenhagen for a long weekend. I lived in Denmark for the first year of my life but have never been back so I would love to go and see what it is like. I thought a trip to Copenhagen would be great for my first holiday I’ve taken alone as it is somewhere I have always wanted to go and I have a real love for Scandinavia, the people, lifestyle, culture and design so I can’t wait to book it. Go to Iceland, one of my best friends is doing a PhD and has always given me an open invitation to go so I am definitely going to do this before summer is out. That is it for now but I am sure the list will continue to grow and I will share with you when I add things or tick things off the list! If anyone has any ideas of something I should do before my 26th birthday let me know! Slice the aubergine into 1.5cm circles. Mix the soy sauce, olive oil, lime juice, red chilli, salt and honey on a large plate, place the aubergine in the marinade, make sure it is well covered and leave for 5 minutes. Place the aubergine on a baking tray and cook in the oven for 30 minutes at 200C. For the halloumi slice it into 5mm slices, place in frying pan with some olive oil on a very high heat and cook until golden on both sides. Turn of the heat then pour the lemon juice over the halloumi. 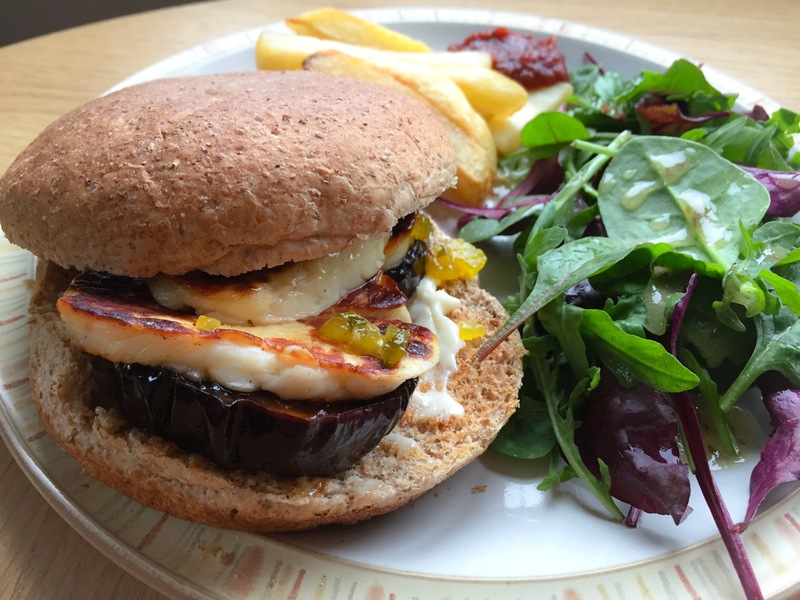 Place the aubergine and halloumi in your favourite burger bun with your favourite condiments. A friend was just telling me about Halloumi cheese, I have never tried it and I think I’ve been missing out all my life! This looks delicious! Great idea. I’m just making some buns – wish I had some aubergines and halloumi now! Mine turned out a tad wonky.